Download the Version which is having MINGW in the file name (Because that setup has already MINGW compiler in it ). The Installation is easy like we always do Next Next while installing Program and then at end hit the Finish Button. 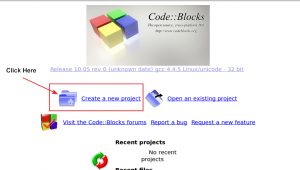 Now we have installed Code Blocks , We will now Run it. 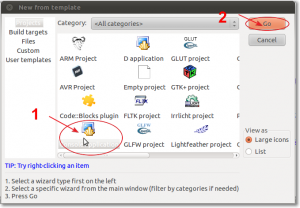 Start Code Blocks now a Box will be up their saying "Compiler Auto-Detection" window. 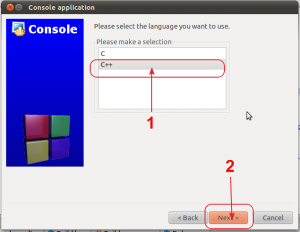 Select their "GNU GCC Compiler"
Click Console Application and then Click Go. Congrats ! Now you are ready to write your new C/C++ program so Hurray. 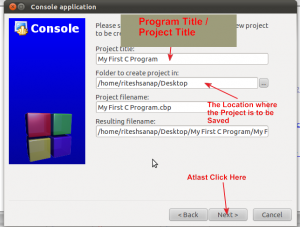 Now in the Left Side Panel you will see your Program/Project name just double click it and it will get open in hierarchical manner just go to Main.CPP and Edit the Content their. To execute the Program Press F9. Hope you Like it , If you Like it then i would Love to have a FeedBack Regarding it.